The Southern Baptist Convention is at a crossroads. We have four weeks to correct our course or the future will be very bleak indeed. Some are saying that the furor of Dr. Paige Patterson's words about an abused woman submitting to her abusive husband is unfair to him. "He didn't mean it," they say. "His words have been taken out of context," claim Patterson loyalists. No. Dr. Paige Patterson meant exactly what he said. Actually, what Dr. Patterson truly believes about women is worse than what's so far been revealed in this little dust-up about abuse. Let me show you using Dr. Paige Patterson's own words while under oath. In 2006, Dr. Paige Patterson terminated the highly acclaimed and brilliant Hebrew professor, Dr. Sheri Klouda, from the faculty of Southwestern Baptist Theological Seminary in Fort Worth, Texas, because she was a woman. Let that sink in: Dr. Paige Patterson terminated Dr. Sheri Klouda due to her gender. But why fire an acclaimed Hebrew scholar because she is female? Dr. Patterson tells us under oath. The following exchange between attorney Gary Richardson and Dr. Paige Patterson during a deposition gives the reader a gut-wrenching glimpse into Dr. Patterson's view of women and a possible basis for his view that a woman should submit to her abusive man. Question (Richardson): Well, I’m interested in whether or not you claim here under oath today, Dr. Patterson, that you mentioned to these two gentlemen (Blaising and Allen) any concern about her (Dr. Klouda) violating the stipulation that she was placed under? Answer (Patterson): Yes, I did mention it to both of them. Question (Richardson): And what — what is it you say you said to them? Answer (Patterson): I don’t recall the exact conversation, of course, but I did say to them that I felt that there was violation taking place perhaps, and furthermore, that I felt that it was inappropriate ecclesiologically for her to be in this position. Question (Richardson): And what was the violation that you claim here today that you told them that you thought was taking place? Answer (Patterson): I believe that she was indulging in the exposition of the scripture. Question (Richardson): Giving her own conclusions? Answer (Patterson): Yes, I’m sorry. Dr. Paige Patterson, according to his own words under oath, believed Sheri Klouda, a highly trained and acclaimed Hebrew professor, was "indulging in drawing her own conclusions about the Scriptures." Dr. Patterson believes a woman should never draw her own, independent conclusions from the Scriptures and tell a man what she thinks God is saying. This was Dr. Klouda's crime. Dr. Patterson tells us this under oath. In his same testimony, Paige Patterson is asked what he thinks about a society where women are in positions of leadership. I am typing for you the dialogue complete and unedited. Question (Richardson): Would you think in regards to the issue of -- of women in the church, that you and Paul Pressler have acted responsibly for the convention? Answer (Patterson): I certainly hope we have, we've done our very best. Question (Richardson): And -- and I think that you would agree that- that Wade Burleson would feel that he's done his very best, wouldn't you? Answer (Patterson): Yes, he probably does, uh-huh. I'm not judging his heart. That's only known to God. That's something he does fairly regularly with regard to me. Question (Richardson): On Page 1595? Queston (Richardson): In view of time, I'll try to rush through this, but the third paragraph down it says, There it is. (Wade Burleson writes:) "There is the narrow, biblical interpretation that says it all and causes our convention some serious problems. No woman shall have authority over a man." Did I read that correctly -- correctly? Queston (Richardson): And he (Wade Burleson) is saying that in his opinion, that you have gone far beyond the prohibition of women pastors? Answer (Patterson): Apparently that's what he's saying. Answer (Richardson): And, of course, you disagree? Question (Richardson): "According to Patterson's rigid and narrow interpretation of the Bible, it is wrong for a woman to serve in any position of authority over a man;" is that an accurate statement? Answer (Patterson): In the church, yes. Question (Richardson): How about anywhere else? Answer (Patterson): Well I don't take a position about anything else, because the Bible is not crystal clear on it. The Bible does say in the Book of Isaiah, that it is something of an indication of a wicked society when women rule over them. Throughout the deposition, Patterson made remarks about how society is not following the standards of God's word, but the church must follow the infallible Word of God when it comes to women not having any authority over men. That's why Patterson recently said "a woman should never go to court with marital problems," problems that may even include physical abuse. Keep quiet. Submit. One must conclude that in Patterson's world, an abused woman is better than an indulged woman. of women into the Southern Baptist institutions where he possesses leadership. I have been attempting to warn the Southern Baptist Convention for decades this has been happening. Now there are Southern Baptists who are saying, "Dr. Paige Patterson loves women!" "Dr. Paige Patterson is being misrepresented." They declare, "Dr. Paige Patterson would never tell an abused woman to submit to her abusive husband.." "Dr. Paige Patterson was only joking when he said a man should own at least one woman." To Patterson loyalists, Dr. Paige Patterson is a misunderstood man. Dr. Patterson is a man who speaks what he believes. Either too many Southern Baptists are cowards or far too many Southern Baptists believe just like Paige Patterson. We must confront and remove leaders who propose an unbiblical, anti-Christian, inhumane, God-dishonoring view of women, and cover, hide, and excuse the sexual and physical abuse of women and not wait until society and culture shame us. Beth Moore, I've seen male leaders in our Southern Baptist Convention speak and behave shamefully around women. I've confronted the men every time I see it. I am grateful for your courage in speaking out about your horrible treatment. "There is neither Jew nor Gentile, neither slave nor free, nor is there male and female, for you are all one in Christ Jesus." (Galatians 3:28). So many lives have been, are being, and will continue to be wrecked by anyone who crosses Dr. Paige Patterson. The Southern Baptist Convention has one final shot at making this right. If not, I and many other Southern Baptist pastors may very well hand the Southern Baptist Convention over to the rigidic, misogynistic, legalistic, Old Covenant Baptists who believe a society is wicked when women rule. Jesus said His Kingdom is ruled by humble servants, regardless of their gender. I choose to follow Jesus. Romans 1 states 3 times ... vss 24,26 and 28, that God gave people over to their reprobate minds. Although the context is different from women in authority over men, I wonder if the same principle might apply here. Resist God enough times and He might simply back off and let you have your way. Thank you Wade for bringing these issues into the light, and for your support of women. I am just an ordinary Christian older woman who has watched changes slip in to the "in crowd" theology over decades. At first I was supportive, but as the last decade and a half progresses, and the more I dug into the changes, the more disillusioned I became. The Horrible Mega Attack that came against us and the church my husband, an elder, was so evil that the only way we, and the vast majority of our church survived, was bowing in humbleness and worship to our great God. He brought us through and kept us on our Rock, strong in Christ. As I look back there were so many "disses" to godly women in teaching, running children organizations, working in and around minestry, and in simply asking a pastor explain something he said, that I now see a bigger picture. So many pastors and ministers try to glaze over the belief that Paige Patterson has voiced that many people still don't see it. Thank you Wade for a very clear and truthful telling of this bad direction. I agree that it is going to guide the SBC off the narrow road, if it hasn't already. I am not supportive of Paige Patterson's view on women, but I would be very cautious in calling him evil. I know many pastors across the nation that do not believe that women should hold authority over a man, in the church. It has been indoctrinated in our minds from our youth. When that is all you know, until the Holy Spirit reveals to you otherwise, then that is all you believe. I believed it for years, because that was all I knew, until I researched it for myself and the Spirit changed my thinking. Again, I am not saying that Paige Patterson is right, and I would even call this particular belief wrong, but you can not say that HE is evil. I don't believe anyone can argue that he preaches Christ being the way for salvation. So my encouragement is to be against the sin of the man, and even call for his resignation if you wish, but don't hate the man personally or call him evil. Jesus still loves him, as he loves all of us in the midst of our own false beliefs and weaknesses. **This was not directed at Wade's post, but others comments. Something that is still often glossed over is the financial mismanagement, whether by malice or incompetence that has occurred under Patterson's watch. This is why he left SEBTS and was given a golden parachute at SWBTS. I would agree with anonymous. I do not believe Paige Patterson is "evil" and I would ask that comments refrain from such a suggestion. There's a difference between conduct and character. I am judging a man by his conduct and will leave the assessment of the man's character to God. JEALOUSLY and EGO enraged Patterson just as it did Saul; NO ONE IS A BETTER SPEAKER THAN ME. I think if Karen Bullock had made a ‘bread and butter’ speech, she may have kept her job. Otherwise, why did Patterson, at one time, tell her there was no problem with her position? And on that promise, she bought a house near the campus so she could better take care of her invalid husband. I believe Patterson’s sin of jealously is worse than his discrimination against women. Jealously has caused countless murders since Saul threw his spear at David. Possibly true. Who knows. I do know the "contaminated pulpit" was removed. Ok, Wade--How about this--Patterson's actions towards others have at times been evil. The convention hall is named after a very powerful, divorced female. Rex Ray: Part of this comment "I think if Karen Bullock had made a ‘bread and butter’ speech, she may have kept her job. Otherwise, why did Patterson, at one time, tell her there was no problem with her position? And on that promise, she bought a house near the campus so she could better take care of her invalid husband." is confusing Dr. Bullock with Dr. Kouda. You should keep in mind that Paige didn't say anything "under oath." He refused to "swear an oath" because he believes doing so is unbiblical. He promised to tell the truth, but he didn't swear an oath. Interesting. The government considers a person under deposition oath-bound to tell the truth. :) Regardless of aversions to oaths. You are correct about Rex's confusing Klouda with Bullock. It's understandable, however. Both professors at the same institution. Both female. Both fired for their gender. It was Sheri's husband who was terminally ill and her termination put her husband and daughter (and Sheri) in a terrible position. 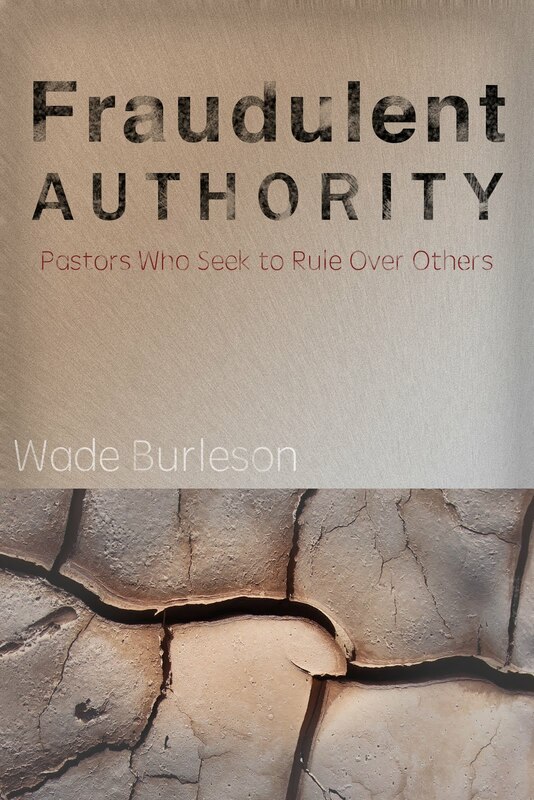 Wade said: "The Southern Baptist Convention has one final shot at making this right. If not, I and many other Southern Baptist pastors may very well hand the Southern Baptist Convention over to the rigidic, misogynistic, legalistic, Old Covenant Baptists who believe a society is wicked when women rule." A lot of prayer is needed. I know that it seems that hope for the salvage of our Convention is hanging on a thread. It will require an entire changing of the guard in control and a power shift from the traditional core of power players who seem to be invulnerable with unchallenged authority. But if God decides to intervene and scramble things up, the necessary change could take place that would result in our having Boards of Trustees over our institutions who would fulfill their mandate to protect the Godly integrity of their charge. Again I say, it is not a matter of being rid of one personality. For meaningful change to take place it will require the masses of Southern Baptists to rise up in a revolution that chooses leaders, most notably, SBC President. They, in turn, will be bent on our having Committees and Boards filled by those who demand officers and leaders under their authority be accountable as humble, sincere, Christlike servants. Let's not draw a line in the sand, rather, commit to prayer and give God space to move. Still, I am thankful for this forum which I believe God uses to awaken our consciousness to desperately seek Him out as our remedy. Thank you Wade for speaking up so clearly on this. I have referred many others to your posts on this. There does come a time for the sheep to flee. I think the SBC convention is at a decision point, either they repudiate explicitly some of the things Paige has said and done (as given in your list of examples) or they implicitly agree with his actions. can Paige Patterson's own self-image be so low that he needs to boost his 'manhood' to god-like status and find his worth in attempting to be 'like God'? In a sense, is he reflecting that whole 'Texas-Southern' ethic that fosters phrases like 'I'm just a woman' in country music? All the cowboy hats and cowboy boots in the world were enough to raise his ego, that he also had to add the head of Dr. Kluda on the wall along with the trophy heads of all those magnificent animals he destroyed 'for fun' ???? Didn't matter she had a sick husband and a daughter in school? if he is that wounded, he may continue to wound the innocent, unless there is intervention that can help him find some peace within Christ where he can put down his own pain and begin the see the damage he has done to others, and repent before Our Lord Who alone can heal him. I hope this happens because in some way, the pitiful 'need' to 'dominate' speaks so much more of the results of 'The Fall' than of the powerful healing that comes from the Hand of Christ to our human kind. 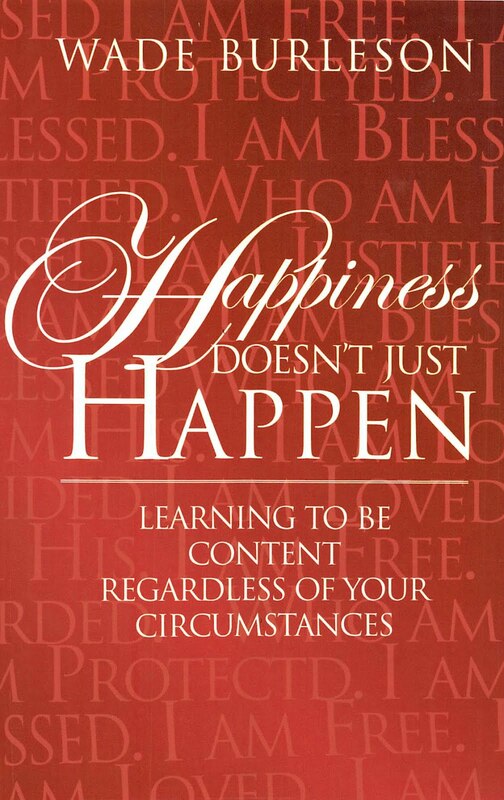 May God help all of us to turn from our own foolish ways back towards the Lord of Life who heals and sustains our very being. Even though I have no doubt that Patterson is reaping what he has sown in terms of misrepresentation of others. It smells fishy that guys like Moore, Akin, and Ranier (who probably held similar views regarding women within the last few years) are helping to throw him now under the very bus he is used to driving. Russell Moore, curiously, is giving shout outs today to Paige's musical taste and selections at Southwestern. Look for a Russell Moore as next Prez at SWBTS? I've looked back over my posts since 2005, and more than a few were directed toward the patriarchal views of the ones you mention. Patterson became president of SWBTS in 1993. Karen Bullock was hired in 1994 and fired by Patterson ten years later in 2004. The help I need is what year did Karen give a speech that caused Patterson to move her “contaminated podium” to an attic, and how much later was she fired? The point I’m trying to make is: She was not fired just because she was a woman (hey, she was a woman when she was hire and a woman for ten years) but I believe Patterson was jealous because the students liked her speaking ability so much that obviously made him second fiddle. Moving her podium to an attic shows how sick he is, and her speech being removed from the files probably had Patterson’s blessings. I believe the old saying that “power corrupts” plays an ugly picture here. Would it suffice to say that Patterson is a man who did a lot of good in his ministry, but also a man who could not tolerate many others doing well in their ministries? Perhaps, Wade, because the reins of power are constantly being re-leathered by the influence of culture and wealth, leaders have to adapt both their language and pronouncements accordingly. Paige finds himself in this scenario as an old dog having to learn new "tricks". Time is collapsing upon him. The nature of denomonational power and politics. Has little or nothing to do with "inerrancy" or fidelity to the Christian faith. I have three academically hard-working daughters. Paige would have gotten a request for personal interview has Dr. Klouda been one of my daughters. Preferable location behind a hay barn. I do wonder why Beth Moore was more kind to John Bisagno than some of the other CR complimentarians. Perhaps because he was her pastor, but this guy was literally blowing the trumpet for Paige and his CR cronies as I remember. Patterson became President of Southwestern in 2003. He never would have hired Bullock and/or Klouda. He fired them both because they were women. After becoming President and after being TOLD Bullock had actually "preached" in chapel, Paige Patterson 1. Ordered Dr. Bullock's message removed from the chapel archives, and 2. Ordered the pulpit behind which she stood taken out because it had been contaminated. Hope that helps with the timeline. Johnny Bisagnio was very nice to Beth Moore in terms of "promotion." I believe you are spot on about him being Beth's pastor. Rex Rey: Patterson went to Southeastern in 1992 and Southwestern in 2003. Oops. My browser didn't load Wade's comments. Thank you for speaking out. As a female graduate from SWBTS, this whole thing makes me sad and down right mad. Patterson needed to be fired long ago! I loved my time at SWBTS but it was a much different seminary when i was there. I have been treated badly on the church level and most recently at the convention level because i am female. I was told they were doing away with my position only for them to bring a man in to do it. Of the 2 of us they kept a man who was not doing the job and clueless about it but he was a he so they kept him and let me go. Later they had to fire him because of inappropriate conversations with teenagers. Just so frustrating when you are trying to do what the Lord has called you to do but men block that just because you are a female. I’m not even saying I should be a pastor. This is all with in children’s ministry. In the post from 10 years ago that you tweeted recently, you reference Karen Bullock's famous chapel message at Southwestern and mentioned that you planned to post the audio. Did you ever post it? I would love to hear it? We thought we’d get the audio - but didn’t. I’m putting in a call to Dr. Bullock to see if she has a copy and I’ll try to upload it digitally in the near future. Blinders are put on horses so their vision is not distracted. I’m afraid you have blinders that keep you seeing the only reason Patterson fired Bullock was she was a woman which fits your truthful observation that Patterson disrespects women. I’ll repeat the two question I asked: “The help I need is what year did Karen give a speech that caused Patterson to move her “contaminated podium” to an attic, and how much later was she fired? We agree that Patterson became President in 2003. You said he would never have hired Bullock, but she was hired in 2004. Why did it take ten years for him to fire her if the ONLY reason was because she was a woman? I’ll be more specific with my questions. What month, day, year did Bullock make her speech? What month, day, year was Bullock fired? I’m guessing both times are close together, but I could be wrong. The most disturbing aspect of these posts and comments is having a sense that this has become a vicious attack on a weak brother. Do not misinterpret my intent. I do not propose to protect Paige Patterson or support a weak brother who has been disqualified from being in his ministry position by his character flaws or support his remaining in that post. My concern is the intent of those attacking him. Wade makes the insinuation, if not saying outright, that he is going to leave the SBC if Paige is not removed from his position at SWBTS. That sounds to me like he is going to throw a tantrum if he does not get his way. To leave the Convention would be saying that he has given up on the Convention for not firing Paige, not because the Convention is rotten. If Wade, and others, believed the "Convention" is at fault, we would be seeing a lot more outrage over those who have, and will certainly be, serving as SBC Presidents and the members of Committees that choose Trustees who introduce people like Paige into leadership positions and keep them there. It is a damaged Convention-system that is the problem that allows and maintains the grievous state of affairs that exist on a Convention-wide basis. That's why we continually have unqualified leaders of institutions, racial and sexual bias, distorted application of doctrines, etc. It's not a "Paige Patterson" problem that is causing it. When we single him out as being the problem it obviously has become a personal, unproductive activity. He's simply a personification of it. But we are not seeing outrage about the corrupt, political, tainted system that is perpetuating such cases in many of our institutions. We are not seeing suggestions and remedies proposed for dealing with the real problem. Instead, we are outraged and raving about one person who is one piece of the fruit resulting. If the SBC bows to the pressure of the fickled public opinion and outrage that has been generated toward Paige and the SBC does remove him, why would Wade continue participation in the SBC? Why would any who are screaming for his removal? Is the bias toward women in the Southern Baptist Convention due to the presence of Paige Patterson? Is the dysfunction of all of our Boards of Trustees to hold such things accountable due to Paige Patterson? Is it restricted to SWBTS? Do you think it is going away and being resolved if he is forced out? Do you think that his being forced out will display that the condition of the SBC has improved so as to allow you to remain identified with the SBC in good conscious? I see a lot of emotion and bitterness being displayed toward one symptom of the problem. 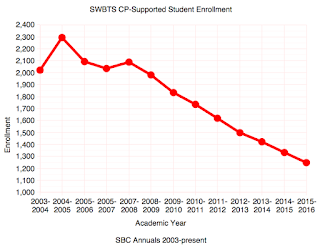 That will do nothing to improve the infrastructure of our beloved SBC. The absence of having an approach using rational and objective assessment to deal with the real problem will resolve nothing other than placating the gratification of a few. For the sake of the Kingdom, if there is not a strong, coordinated response by members of the Southern Baptist Convention at the SBC 2018 for allowing Paige Patterson to represent us before the world, then our former SBC will become the size of the Landmark, Fundamentalist, Patriarchal Baptist Convention that has its headquarters in Arlington. In other words, the SBC will be no more. I'm fighting FOR the future of the SBC. I've been doing so for over three decades as an SBC pastor. I'm saying there may come a time - if not brokenness, repentance, and correction - that the SBC will not exist. Appreciate your spirit. I challenge you to do something. I really enjoy your comments, but I would ask that you do your own research and stop asking me to give you facts, particularly when you make dogmatic statements that are in complete error. Karen Bullock was hired in 1994, not 2004 (as you write). Karen Bullock was a professor at Southwestern Theological Seminary from 1994-2003). She preached in chapel under President Ken HEMPHILL'S invitation, and HEMPHILL pushed Karen for tenure. Paige Patterson was hired in 2003. Dr. Bullock immediately and Dr. Klouda eventually were forced out. Bullock taught theology for 9 years at Southwestern (1994 - 2003). Paige Patterson became President in 2003. Bullock's removal was immediate, and it took two years to remove Klouda. Bullock's chapel message was given under KEN HEMPHILL'S REIGN - all around the change of the Baptist Faith and Message to the BFM 2000 - (read the linked article above). Hemphill's forced departure by trustees - and the HIRING of Paige Patterson - by select trustees - all revolved around correcting the sin of a woman teaching a man at SWBTS. The chapel message by Bullock, the recommendation for tenure for Dr. Bullock by Ken Hemphill (denied by trustees but fully supported by the administration), and HEMPHILL'S removal by trustees - and the ultimate hiring of Paige Patterson by those SAME trustees - all occurred from 2001 to 2003. Bullock was removed from SWBTS in 2003 by Patterson just days after he arrived - as well as the pulpit in the chapel where she spoke because it had been contaminated (according to Patterson). "Dr. Bullock was fired by the trustees that fired Hemphill before Patterson arrived. However, when he got there he pulled Bullock into his office and said, "You do know you're supposed to go right?" Afterward, Bullock said, "I was fired twice!" Nicolas is correct. The trustees formally voted to "remove" Bullock BEFORE Patterson arrived, but waited for Paige to make it official. 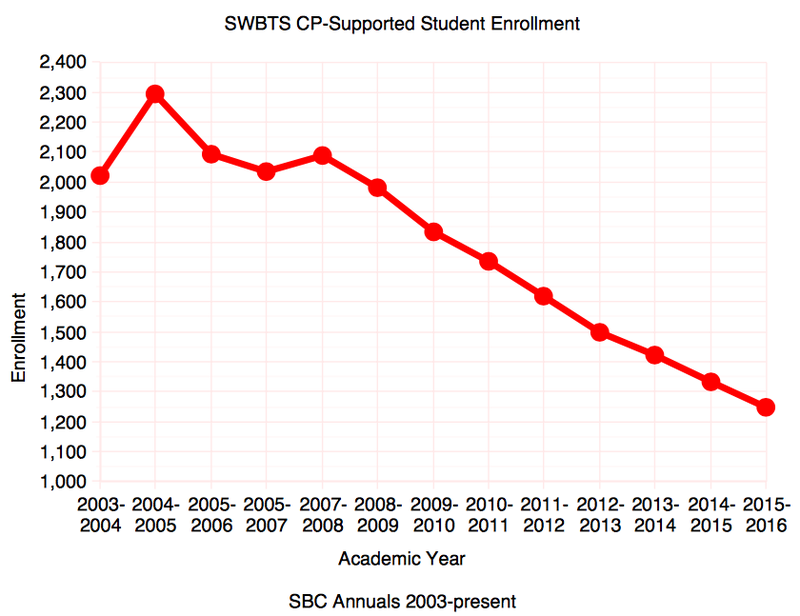 From 1999 to 2008, most trustees at ALL SBC institutions did Paige's bidding because he was heavily involved in their placement (read Hard Ball Religion). That's not happening anymore, but it used to. This issue of "abuse" only arises from a sub-biblical, abnormal, and unchristian view of women. Yeah, if you want to talk about authoritarian cherry-picking at its most troubling, this certainly reeks of it. Here's a reading of relevant Scripture (Patterson appears to mainly cite Matthew 18 and 1 Cor. 6) that comes to a divergent conclusion from Patterson. The initial scenario describes both a relative equality of participants (brother to brother), and something in which an internal matter between two Christian siblings as it were had occurred. (For contrast, the Greek addition ‘eis se’ is widely translated “against you”). What is written in 1 Cor. 6 also corrrsponds to internal confrontation of a personal dispute or matter (Gr. pragma). In this case, the result of not going to an earthly authority appears to at worst represent someone being wronged (Gr. adikeisthe) or defrauded/cheated (Gr. apostereisthe). Context seems to strongly indicate the discussion of personal tort matters between siblings as it were. Also adding perspective is the goal in Matthew 18 of being heard and gaining a brother, implying this is in large measure a matter of fellowship rather than uniform dispute settling of criminal matters. Again, looking at the end result, the penalty as it were in this case is a loss of fellowship (being treated as a heathen or tax collector). Does that sound like the way a criminal situation involving sexual assault would be settled? If you’re going to use Bibical counseling as it were, use the whole counsel. Throw in Romans 13 for the place of civil authority and being subject to those who do not bear the sword in vain. As pointed out, the law of the land in all 50 states is clear. The brother vs. brother matters in Matthew 18 and 1 Cor. 6 do not negate the reality of rendering unto Caesar what is Caesar’s and submitting unto authorities. Whether people are members of a church or not, they’re members of a civil society and are subject to its laws and regulations. Another bonus is that most churches subject their entities to governmental authority, from their tax-evading status down to the gold-trimmed flags likely on premises, which if I’m not mistaken is a signal of subjection to admiralty law and civil authority. So you’re going to do that in one instance, but act like you’re a Christian tribunal justice dispensary excising other acknowledged authority in another? And yet Mark Dever wants us to take oaths to associate in fellowship with a local church. It was easier becoming a part of the kingdom of God than becoming part of a local 9 marks Influenced church. That covenant making oath for church membership is about as patriarchal, authoritarian, anti-New Covenant as anything I've seen. And it lends itself toward rotten abuse. Stay focused Wade. Patterson has received rewards and accolades and and will walk away from this,even if locked out of his office like Dilday,in far better shape than many other committed servants whose lives were mown over and ministries short-circuited for nothing more than the appeasement of one preacher's ego and lust for power. I would need more than a few sheets of paper to list by name and position all my former pastoral colleagues and seminary professors who are in secular as opposed to church service right now as a result of disagreeing with or standing up to Patterson going back 25 years. If the SBC can self-correct (which at this point I doubt), seems job 1 is ridding itself completely of Patterson's influence. His fairweather friends and institutional colleagues now throwing him under the bus can be dealt with once the major problem of last 25 years is addressed. Thanks for "doing" what's needed in this season. You have my sincere thanks and prayerful support in this messy task. I genuinely like Paige. On the other hand, I despise his belief system. 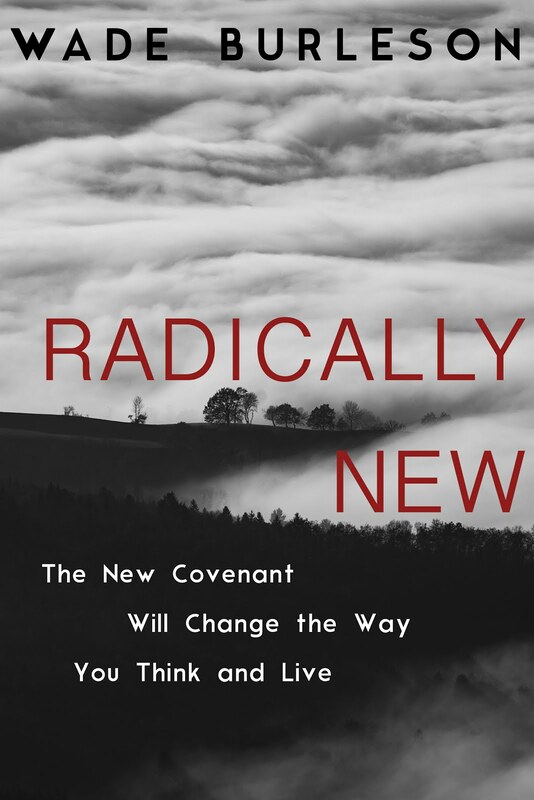 It's contrary to the clear teachings of Christ, anti-New Covenant, and leads to a refusal of recognition that all those "in Christ" have equal authority. Don't know if I would "like" him or not as we have never met except through our adversarial writings during the "CR" ruse. At that time he was more interested in chastizing myself and others for being liberal and soft on Scripture than he was interested in making friends. For 20 years I have intentionally avoided setting foot on the campus of my alma mater (NOBTS) or any of the others. Do they still offer training in Christian Counseling or Psychology at these schools or have such programs been all but eliminated? Correcting the sin of a woman teaching a man at SWBTS was not the only reason Hemphill was forced from SWBTS. He was a nice guy that didn’t remove good teachers just because they were not considered “Conservative”. Patterson bragged he didn’t have to fire any teachers: I simply called them one at a time to my office, and said they could resign with a good recommendation of they could be fired without one. So you see Patterson was not only a bad guy ‘removing women over men’, but anyone that wasn’t in line with his thinking. Wade, Thanks for this. The worldview behind what Patterson said in the recorded audio quote sort of came together. If a woman takes a man to court, she has effectively exercised authority over him, so what she has done is wrong. I think you are right that his negative position on women does run really deep. And as for a society being evil when women rule, what about Deborah? I was part of a spiritually abusive church for a short time (it was charismatic - not Baptist, though I grew up in a baptist church), so now I can see the signs immediately when I encounter them. And while I have tremendous belief in the power of prayer, it is spiritual abuse to tell a victim that her spirituality is responsible for any given outcome in the heart of another person. That's such a heavy burden to put on someone who is already in pain, and already self-blaming (because the shame of abuse causes you to question yourself). Likewise, spiritually abusive systems have all sorts of unspoken rules about not disagreeing with leadership, and the abusive leadership blame shifts and plays victim rather than taking responsibility for wrongs. What is taking place here is uncovering, spiritual abuse and I don't think we should shy away from using that terminology. As messy as it all is I'm hopeful about the positive dialogue I'm seeing all over the internet and praying for godly, holy, change. Wade, I am so glad that you and Dr. McKissic were permitted to make clarification statements over on SBCtoday. I think your statements helped bring some light into what was beginning to be a very negative and ill-intended comment stream that was based on insinuation. So, well-done to bring the light into that darkness and to do it with Christian grace. Wade said, "Appreciate your spirit. I challenge you to do something." Thank you. I do need to decide what to do. You are accurate in saying that you have been doing something for more than 10 years about the problems in the SBC. That's how I became acquainted with you and your blog, back during the days when you were black-listed from being an IMB Trustee. You were bold in "doing something" and it cost you. My impression is that you have been shut out of the inner circles of the power circle of SBC because of your calling the hand of a number of people about the shady "goings-on" taking place. Those are the exact types of things I mentioned that need to be done. The difference is, you HAVE done something and for that, I appreciate you and am thankful for you. I no doubt misspoke in characterizing your statements about leaving the Convention if you don't get your way. I apologize for that. You do not deserve it and if anything, I feel I should be encouraging and supporting you rather than doing the opposite. Now I do need to determine what I can, and should, do myself to contribute to things changing in the Convention. I have begun by writing to Trustees and in social media, but I need to step up my involvement and consider what else to do to contribute to things improving. You have an excellent forum in your blog so your posts are very influential and make a difference. But is that boldness something that I want to pursue? You have shown that it is costly. Many of us choose to be complacent because we don't want to be considered controversial or disruptive in Kingdom work, but at the same time, such action is often the only way we can contribute to the pendulum moving back toward a "Christ-centeredness". So, thanks for your boldness and for your gracious nudging for me/us, to "do something".